If you like to have guests over for fabulous gourmet meals and have a classically styled home this dining table is the piece for you. 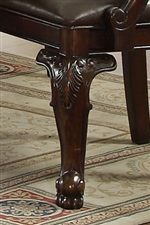 This double pedestal table features delicate carved details and ornate trim and select veneers. Large enough to comfortably fit eight people this table comes with two 18 inch leaves to take it from 72 inches to 108 inches for larger parties. Add coordinating side and arm chairs to complete an elegant arrangement. 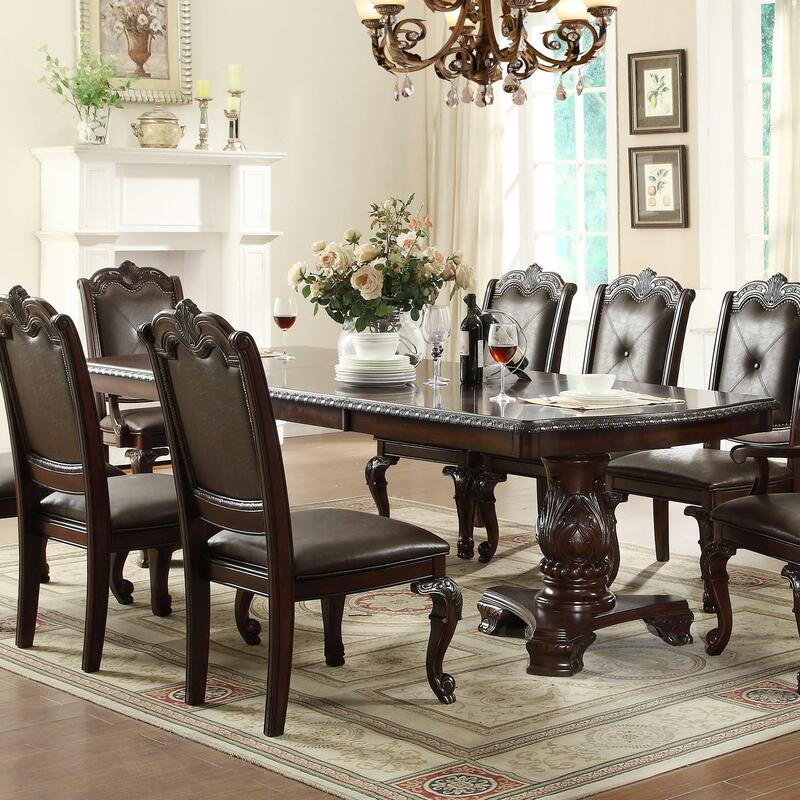 The Kiera Tradition Double Pedestal table and four side chairs by Crown Mark at Furniture Fair - North Carolina in the Jacksonville, Greenville, Goldsboro, New Bern, Rocky Mount, Wilmington NC area. Product availability may vary. Contact us for the most current availability on this product. 2150T-44108-TOP Dining Table Top with 2-18" Leaves 1 44" 72" 30"
Kiera carries a very elegant and traditional style that will bring a timeless atmosphere to your home. 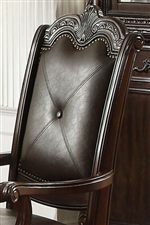 Exquisite carved details and ornate trims cover the select veneers of each piece. Side and arm chairs are padded and upholstered to provide you and your guests with luxurious comfort. Grand enough to seat eight adults comfortably the dining table comes with two 18 inch leaves to extend it from 72 inches to 108 inches. Easily have friends over for fabulous gourmet meals and cocktails in your refreshed and fashionable dining room. The Kiera collection is a great option if you are looking for Traditional furniture in the Jacksonville, Greenville, Goldsboro, New Bern, Rocky Mount, Wilmington NC area. Browse other items in the Kiera collection from Furniture Fair - North Carolina in the Jacksonville, Greenville, Goldsboro, New Bern, Rocky Mount, Wilmington NC area.